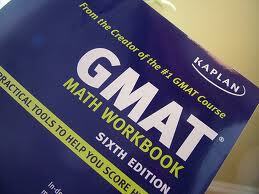 GMAT is entrance exam for getting admission to various colleges and universities that offer MBA program. GMAT means Graduate Management Admission Test. GMAT is conducted all over globe for getting admission to MBA. GMAT offers various programs like Full time, Part time, dual MBA programs in more than 1500 universities in more than 80 countries around the world. Mainly universities use GMAT as part of selection procedure similar to GRE. Organization that governs the Management programs is Graduate Management Admission Council (GMAC) was founded in the year 1953. GMAC looks over the test and defines the rule to conduct the exam for selection of qualified applicants. It is the most common exam taken worldwide for admission in MBA. But from the year 2012 GMAC has added Integrated Reasoning Section as part of the exam. Thus, now GMAT consists of four sections. Test is conducted over four hours. Actual test is of three and half hours and half hours is for breaks. You need to properly manage your time for breaks. You can use them as per your requirement. Out of four sections Verbal and quantitative parts are conducted online. A very different technique is used to judge candidates ability. When a candidate gives correct answer computer increases his difficulty level and vice versa. The quantitative test is used for assessment of candidate’s maths and quantitative problem solving ability. Questions are generally based on time and speed, directions, profit and loss etc. Verbal Section is used to determine candidates reading and writing ability. They are provided with comprehension reading. Candidates need to answer the questions. Scoring ranges from 0 to 60. Typically size of passage is up to 350 worlds but it is not necessary its length may vary. Passage can be on any topic. Based on passage questions are asked who’s answers are used to tally candidates over all verbal ability in terms of understanding of words and logical relationship as well as grammatical knowledge of standard written English. Integrated Reasoning was added as part of the exam from the year 2012 onwards. The whole idea was to assess the candidate’s ability to evaluate data in multiple formats. It consists of four parts. Each of this section consists of four questions. Important thing to note here is that this section does not add to your GMAT score. Questions are of true or false, yes/no type. Every section also has one fill in the blank question. Options are provided to the students they need to select the correct one to complete the statement. Analytical writing assessment consists of written part. Like many other exams every candidate needs to write an essay on the given topic. Each candidate is given a time of 30 min to write analysis of the argument. Students are given a statement and they have to analyze it and write a critique or give their review on the argument. Based on the review students organization of ideas and knowledge of vocabulary are primarily checked. A very unique procedure is used to assess scores based on algorithms. Scores range between 200 to 800 points. Final score is based on candidate’s performance in quantitative and verbal section. AWA and IR do not contribute to the final score. Very useful information. The article is very well researched and presented. 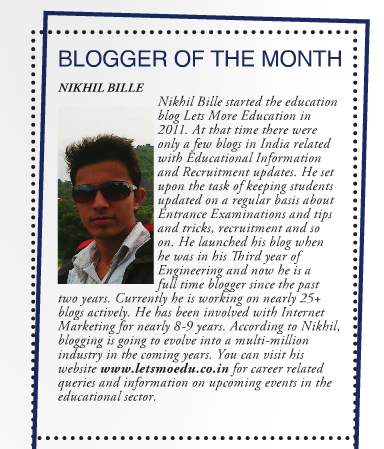 Such posts are really helpful for management education aspirants like me to remain updated of the latest and related information. Keep posting such stuff!